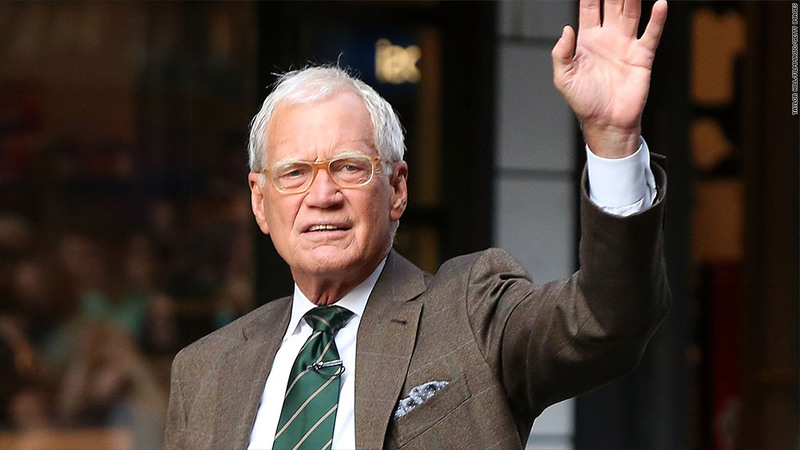 As David Letterman approaches the end of his late night run, viewers are tuning in to say goodbye. "The Late Show" had its biggest average weekly audience since February 2011, CBS reported on Thursday. Letterman's "Late Show" averaged 3.8 million viewers, which was up 40% compared to the same week last year. The bump in viewership comes at a time where CBS and much of television is saying goodbye to the sardonic host. For example, CBS held a primetime special for Letterman on May 4. The Letterman farewell will continue until the final show next Wednesday with guests that include Tom Hanks, Bill Murray and Pearl Jam frontman Eddie Vedder. The news of Letterman's high ratings comes just one day after Letterman's successor Stephen Colbert made his debut as the future host of "The Late Show." Colbert appeared alongside CBS CEO Les Moonves at Carnegie Hall on Wednesday at the network's upfront presentation to advertisers. Speaking in front of a packed house, Colbert said he would honor the departing Letterman by doing the best show he could while also sometimes making the network angry. Letterman did not appear at the presentation, but was mentioned throughout. "The Late Show" wasn't the only show on CBS late night that saw a ratings boost. The show that follows Letterman, "The Late Late Show with James Corden," had its most-watched week since its premiere week, according to the network. Letterman officially signs off next week on May 20 and Colbert takes over on September 8.